Grab clone – What it means and why it matters? Uber is a darling and a crown to the sharing economy. Indeed it’s an enviable jolt in the taxi industry! In a world where taxis can be late, messy and expensive, Uber isn’t. Uber carved an ideal niche for itself and revamped the entire taxi industry. Uber’s instant success proves it is a much needed on-demand service in the transportation market. Many companies are tussling hard to outsmart Uber with their technology and user-friendly features. And a few like Gojek and Grab have succeeded in their attempt. Let’s take a detailed look at how Grab emerged as a rival to the ride-hailing legend Uber. How and Why an app like Grab Made a Difference? It satisfied the customer’s quest for newness by offering both ride-hailing and food delivery service in a single app. Every time Grab enters a new country, it buys smartphones for its driver partners. It also educates its drivers about the usage of smartphone and its mobile app. Besides larger markets, Grab shows higher penetration in smaller markets too. How to develop a Grab clone? The last few years have witnessed Grab’s gaining momentum. 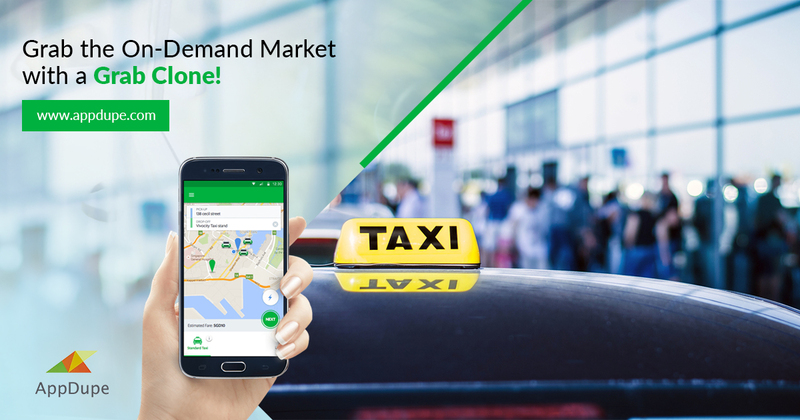 Revamping the idea of Grab with an app can be a lucrative business idea. 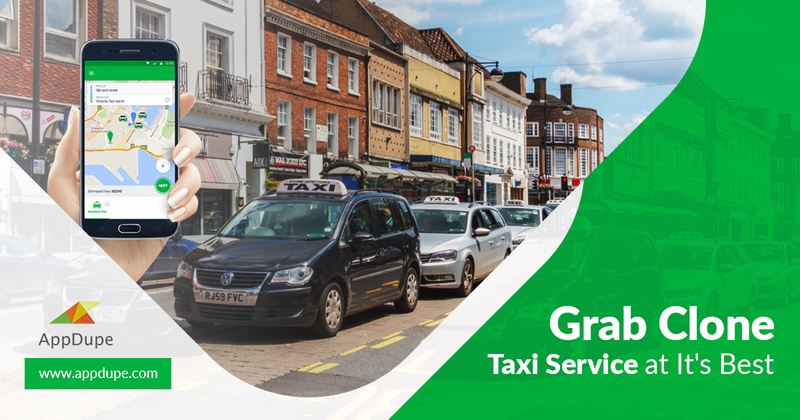 While the technology behind Grab can be complex, the availability of exact Grab taxi clone app makes the process easier for you. 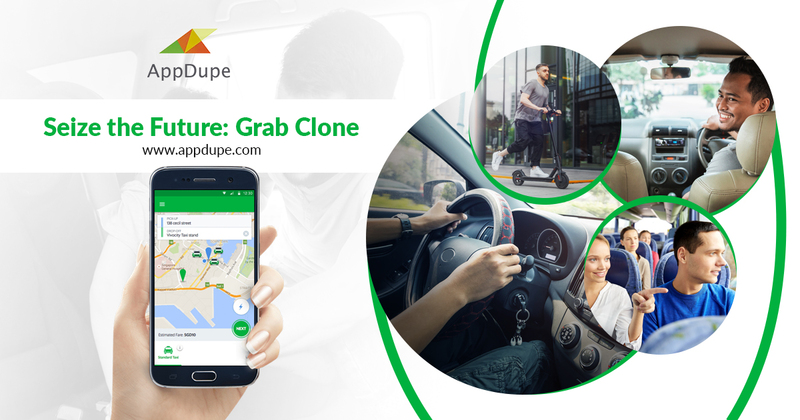 At AppDupe, we are providing the replica of Grab with similar functionalities and unique features. It is just a matter of dropping inquiry and once you have the essential information, your app is within your reach. Marketing is my soul mate and writing is my side kick. Using my writing skills to share the knowledge of app development and upcoming technologies. Grab Clone App- The Big Picture! How Employing a Grab Taxi Clone is worth your Buck? Read On! To Bot or Not to Bot – That’s the Question! Why BlaBlaCar clone is the ultimate gift for the carpooling ecosystem? What is the necessity of having an app for a laundry business? Start Your Venture Right Away With Our On Demand Apps! GET IT NOW FOR $1999! Updates For IOS, Android ETC? At AppDupe, we know that our customers are Entrepreneurs and keeping them succeeding is what will make us stronger. So, we promise you, Life Time Updates free of charge. Yes, we know that Apple and Google keep coming out with new versions of their mobile OS's and other companies we clone from also keep updating their features and UX to stay up-to-date. We will take care of that for you, leaving you to do what you do best, Win!